Arriving in dealerships next near, the 2018 Audi A5 Coupe will bring along a more evolutionary design, new on-board technology and an impressive engine lineup under the hood. The model has recently popped-up online in a new video review put together by Carwow, with Mat Watson behind the wheel of the new A5, giving us a closer look at the car`s driving dynamics, cockpit and its technology, as well as the powertrain underneath the skin. While some praise the gorgeous design that the model is coming with, others criticize it by being too ordinary and resembling that of the previous generation. From what I stand, the model brings just a handful of updates in terms of design, but compensates however with the plethora of gadgetries inside the cabin. However, there are styling design, like the wider grille or the much more muscular shoulder lines, that add a more aggressive attitude and increase the car`s overall personality. The car`s main points are inside, the cabin boasting with the latest technology, adding however standard features, including LED ambient lighting with 30 colours, three-zone automatic climate control, aluminum trimaran inlays, folding and sliding front-center armrest with height adjustments, premium leather, panoramic sunroof and much more. In the engine department, the 2017 Audi A5 Coupe is equipped with a 2.0-liter TFSI flat-four cylinder engine petrol, developing 252 horsepower and 370 Nm of torque, enough to allow a sprint from 0 to 100 km/h in just 5.6 seconds, at a topping of 250 km/h. The engine is hooked to a six-speed automatic transmission or a high-performance seven-speed S tronic dual-clutch transmission. 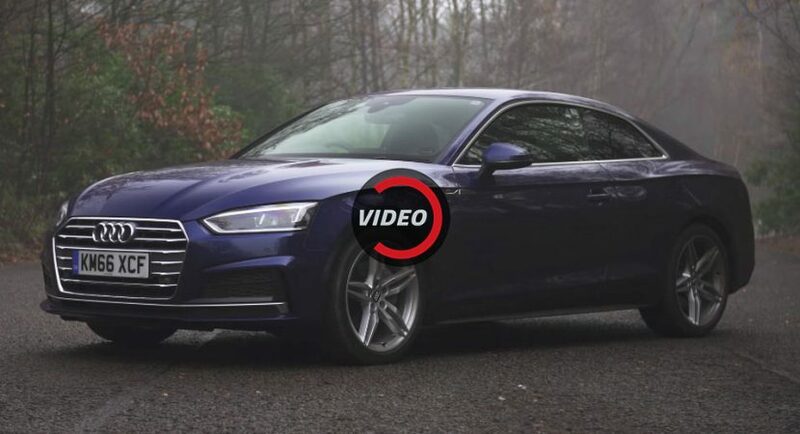 More about the all-new 2018 Audi A5 Coupe can be heard and seen in the video review below put together by Carwow. Enjoy and don’t forget to comment your opinion about the new model!